Ivan Godsey of Bedford passed away Thursday evening at Core Nursing Home in Bedford at the age of 73. Born in 1935 in Greene County to Milford and Abbie Godsey, Ivan was a US Air Force veteran serving during the Korean War. He is survived by his wife Wilma, daughters Connie and Rebecca, son Ira, sisters Alma and Artie, nine grandchildren, nine great grandchildren and several nieces and nephews. He is preceded in death by brothers Beckam, Hurstle, Hobart, Robert, Lowell and Oliver, sisters Zelma, Dorothy, Ruby, and Elsie. 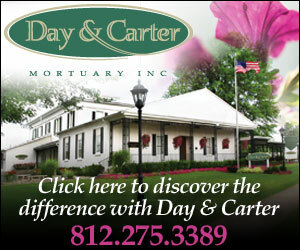 Services will be held Saturday at Day and Carter at 2 PM with burial to follow at Green Hill Cemetery. Visitation is from 10am until the time of the service.